The Outdoor Fitness Pool – Set up for Short Course Meters, No starting blocks. Boys Warm-up: 1:00 - 1:30 p.m. Events: 1:40 p.m. Girls Warm-up: 1:00 - 1:30 p.m. Events: 1:40 p.m.
Open to all USA Swimming registered athletes ages 9 and under. Athletes shall compete at the age attained on the first day of the meet. Current USA Swimming rules shall govern the meet. All events are timed finals. Athletes may enter no more than five individual events. There is no admission charge. Programs for each session will be available for $1.00 each. Working officials and coaches receive a free program. OFFICIALS: All certified officials wishing to volunteer to work this meet please contact Scott Witkin at scottwitkin@verizon.net prior to May 13. Please include your club affiliation, certifications held, and sessions you wish to work. Officials volunteering should sign in at the recording table prior to the start of Warm-ups. Certified officials who have not previously advised of their availability may volunteer their services to the Referee at this time. Fees for individual events are $4.00; relays are $8.00. Each Club is required to remit one check to cover the entry fees for the entire team. Please DO NOT SEND CASH. Late (deck) entries are $10.00 per individual event and must be submitted no later than 30 minutes prior to the first event of each session. No new heats will be created. Late entries are on a first come, first served basis. No late entries will be accepted for relays. All fees are due on the first day of the meet. Evidence of current USA-S registration will be required for deck entries. This can be done by presenting a copy of the athlete’s USA-S athlete registration card. AWARDS: There will be an award for the winner of each individual freestyle event. ENTRIES: Computer disk entries (Hy-Tek) require a meet entry report by swimmer and a meet entry report by event from team manager. Also submit a completed "entry cover sheet". 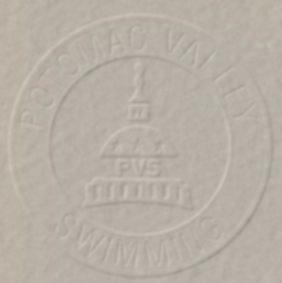 Entries (including relays) may alternatively be submitted on the PVS master entry sheet. There is a surcharge of $1.00/swimmer for submitting more than 10 swimmers this way. Signature and phone number of a club official must be included with entry for validation of entries. ENTRY TIMES: Short course yard entry times will be considered conforming times for this meet. Any Club that enters an unregistered athlete, falsifies an entry in any way, or permits an unregistered coach to represent them, will be fined the sum of $100.00, and no further entries will be accepted from the Club until the said fine has been paid. REMINDER: ENTRY FEES ARE DUE WITH THE MEET ENTRY.